I went to VidSummit in LA and I learned A LOT. In this video, I’m going to share with you the Top 15 VidSummit 2018 professional coaches like you can use to grow your business through YouTube. 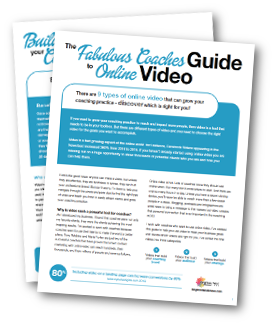 I also share a bonus tip from Judi Fox about LinkedIn Video, so make sure to watch until the end! 1) Don’t use clickbait tags. If it’s misleading, don’t do it. If YouTube ranks you for a misleading keyword and people click on your video and find that it’s not what they want, that’s going to affect you. 2) Use VIDIQ for keyword research. 4) Quality + Optimization = VIEWS. You can’t just have one – both should go together. 5) Have a closing statement, like “See you in the next video.” If you don’t your viewer will just click away. 7) Ask your audience to watch another video at the end of your video. I guess this is the same as #5. Do this instead of asking people to click subscribe in end screens. Mark Robertson on Linking YouTube to Your Blog. 8) Add a link to your blog in the description of your YouTube video. Your blog and YouTube video will benefit from this. 9) Get your Youtube subscribers to your email list. Create three lead magnets and have videos funnel to those three. 11) Content on YouTube is not just your video – it’s the title, thumbnail, video, closed captions, description, tags – it’s everything. 13) Use Cloud Vision. Gain more insight about your thumbnails. 14) Find keywords for optimum watch time, not optimum clicks. 15) Your thumbnails should speak to your audience. Did you find these tips helpful? I will get into more detail on these topics in the next videos, so head over to my YouTube channel and I’ll see you on the next video!